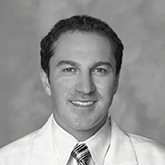 Dr. Amir Vokshoor is a board certified neurosurgeon specializing in microscopic cranial and spine surgery. He continues to advance the field of neurosurgery through numerous presentations and contributions, including surgical treatment of disc disease, spinal stenosis and brain recovery optimization. Using a minimally invasive approach and leading technology patients experience a truly personalized approach. Dr. Vokshoor champions a comprehensive and integrative approach to neurological well-being. He is the founder of the Institute of Neuro Innovation, a nonprofit organization uniting research, technological innovation and neuroscience education in order to optimize wellness and expedite recovery from traumatic brain and spinal injury.